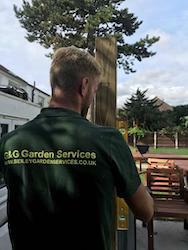 We was asked to install a fence to a beautiful garden in Sidcup. The customer wanted to go for a modern contemporary look and decided to go with the Louvre fence panel from Jacksons fencing. 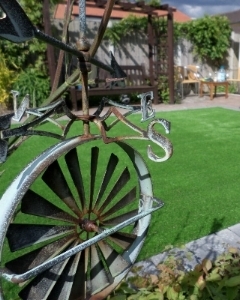 We are approved installer for Jacksons fencing so you get a full guarantee anda 25 year guarantee for parts. There was a big build going on at the same time that we was asked to install the fence so we had to arrange to get our materials in and out the way as there was only a small alleyway to get everything through. 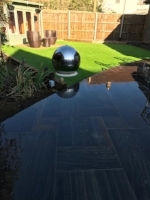 This job looked amazing when we had finished. If you need a fence installing give us a call on 01322-787312. 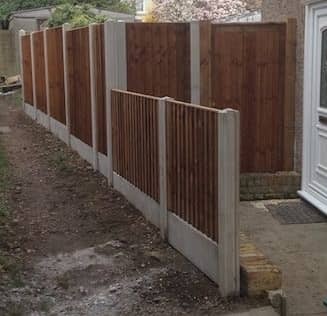 We also installed a close board fence with concrete posts and concrete gravel boards to a property in Sidcup. We used our feather board fence panels that go perfect with our concrete fence posts. If you need any more information on our fence install please give us a call or fill in a contact form. The oldest surviving references to the area are from the reign of King Henry III (1216 – 72), but it was probably settled long before this. 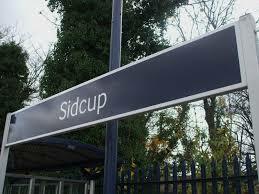 Indeed, the word Sidcup is derived from the Anglo-Saxon words set (‘fold’ or ‘flat’) and copp (‘a hill top’). So Sidcup meant something like a ‘fold in the hill’ or a ‘flat hill top’.